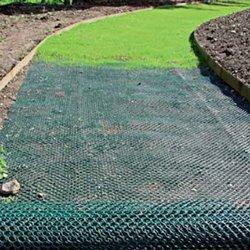 Our range of products include turf reinforcement mesh. Owing to perfection and quality oriented approach, we have carved niche in the industry by offering Turf Reinforcement Mesh. Our offered reinforcement mesh finds wide application in civil engineering, construction and various other industries. This reinforcement mesh is manufactured using excellent quality material & contemporary techniques under the supervision of experts. The reinforcement mesh offered by us can be availed from us at reasonable price in a given time frame. Looking for Turf Reinforcement Mesh ?